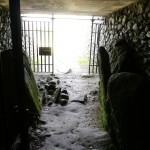 Passage graves comprise a narrow stone-lined corridor, leading into a main chamber, which might have sub-chambers leading off from them. 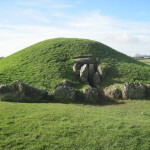 Passage graves are common in Ireland, Orkney, and important sites are located at Bryn Celli Ddu and Barclodiad y Gawres. 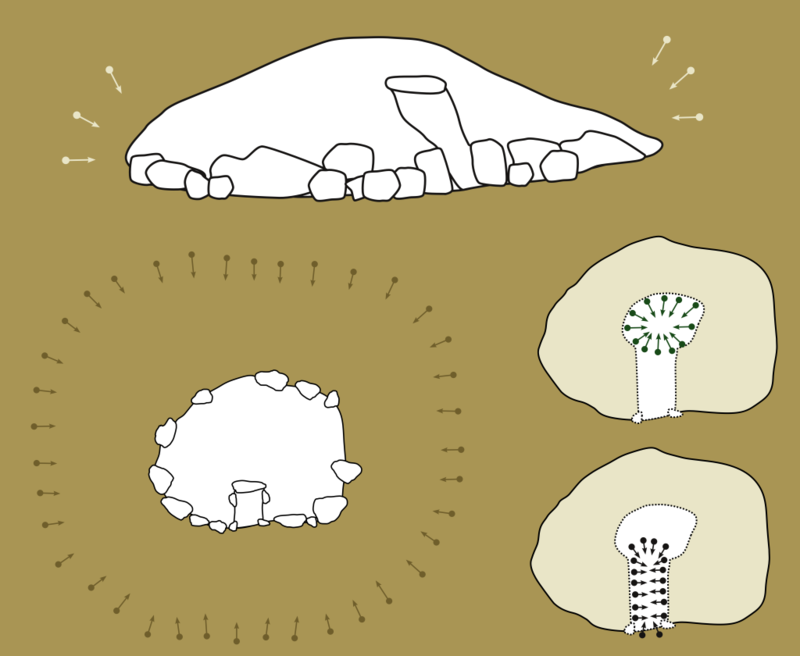 Such sites are often decorated with rock art, with shared patterns and motifs appearing at passage graves across their distribution. You should not climb on the mound as this will be dangerous for you and could cause damage to the site. The ceiling can be low inside passage graves, so please mind your head. Beware of uneven floors and low lighting inside passage graves. Passage graves are difficult to photograph, due to their size. If the mound is covered in grass, the uniform texture of the grass will harm the photogrammetry results. Photograph around the outside of the mound; try to get coverage of the outside from different angles. Inside the passage and grave, you should walk around taking photographs of the wall opposite you. Remember to photograph the floor and ceiling of the passage and grave, too. Take photographs from either end of the passage. 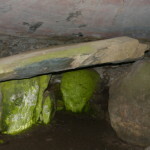 Using a tripod will ensure your photographs are not blurry in the low-lit inside of the passage grave.